Alfred Jardine learned to fish in the Darenth and the Cray and his elder brother Frederic taught him to tie flies. He came from a relatively wealthy family and worked for a firm of merchants. He travelled quite widely and took his trout and pike rods wherever he went, but he was a true all-rounder and fished for anything that swam. However, it was as one of the first specimen hunters of coarse fish, that Jardine became noticed and in 1898 alone, the Fishing Gazette listed him as having caught four pike over thirty pounds and a dozen over twenty. The 1883 International Fisheries Exhibition in Kensington really brought him to public attention, because he exhibited several prize-winning cased fish. His best known work is Pike & Perch, which was originally published in 1898, although he contributed to other books including Angling and How to Angle, edited by Marston. 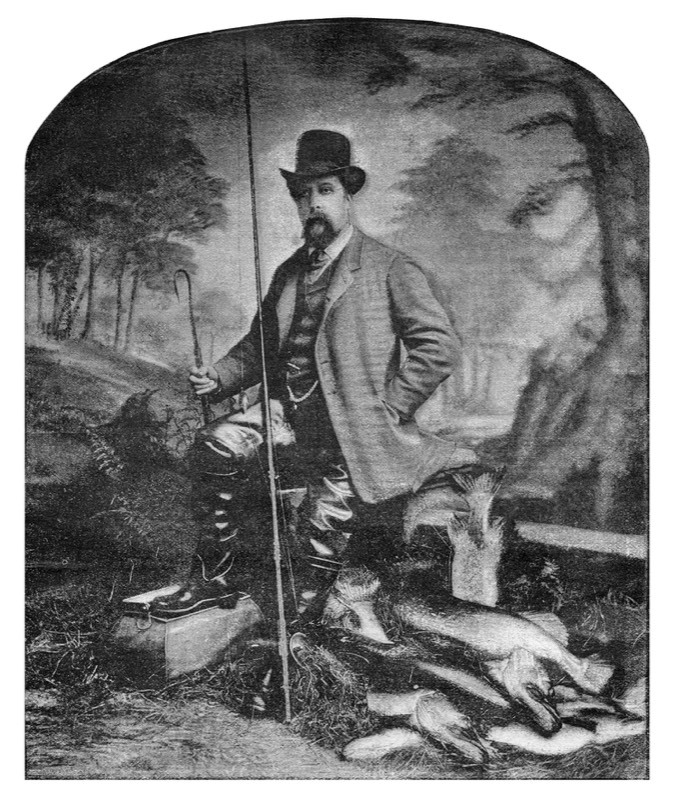 Jardine was similar to George Kelson in some respects: he designed a range of patent tackle, was a blatant self-publicist and attracted his fair share of controversy; an aura of doubt might surround the authenticity of some of his captures, but there is no question about his skill, or the depth of his contribution to pike angling.